POMONA, CALIF. (September 15, 2012) – The 2012 Lucas Oil Off-Road Expo powered by General Tire will invade the Pomona Fairplex Saturday, October 6 through Sunday, October 7, with everything off-road including new vehicles, thousands of parts and accessories, ATV test rides, freestyle motocross action, Toyota off-road test drives, RC racing and more. This year’s expo features more than 350 of the industry’s leading manufacturers, dealers and distributors, showcasing all the latest off-road toys, technologies, parts, gear and accessories. SCOREville – New this year, this special display area will be a tribute to the SCORE Baja Legends and the Off-Road Motorsports Hall of Fame and will include displays of vintage and current desert racing vehicles and a plethora of autograph sessions with past and present racing legends on Saturday, October 6 and Sunday, October 7, from Noon to 2 p.m. SCOREville will also host the live draw and unveiling of the official course map for the 45th Anniversary Tecate SCORE Baja 1000, on Saturday, at 3 p.m.
Toyota Ride and Drive – New this year, test drive a collection of Toyota’s hottest new 4×4 products on a specially designed off-road course, complete with dirt, hill climbs and bumps. Lucas Oil Off-Road Racing Exhibition Course – Title sponsor Lucas Oil revs up this year’s expo with the high-powered, high-jumping race trucks from the Pro 4 Unlimited and Pro 2 Unlimited classes racing on a closed-circuit course simultaneously. Professional drivers will demonstrate the capabilities of these amazing 800-plus horsepower V8-powered machines. Yamaha ATV & UTV Demo Track – This year’s expo is home to free Yamaha ATV and UTV test rides all weekend on the demo course. This closed-circuit obstacle course will test the endurance and agility of these all-terrain vehicles and give drivers a real-world off-road experience. Whether you are an avid ATV/UTV enthusiast or just getting into the sport, experts will be on hand to provide all the necessary equipment and instruction needed to experience riding in a fun environment. Overland Adventure Travel Pavilion – Back by popular demand, a special expo area will be dedicated to everything adventure travel related – products, equipment, accessories, travel planning companies and more. This area will include some of the coolest off-road adventure vehicles – tricked out for any type of trip. Professional Off-Roader Racers will sign autographs and greet fans throughout the weekend with a plethora of racing legends including Maxxis Tire Driver Brian Deegan on site Saturday, October 6, from 11 a.m. to 12 p.m. Team LOSI / Horizon Hobby Professional RC Racing – Professional drivers will take scale models of real life vehicles through all the turns on a specially built RC racing dirt track. Miss Lucas Oil Off-Road Expo Bikini Contest – On Sunday, October 7, the Bud Light Entertainment Stage will host beautiful bikini-clad women competing for the cash prize, tiara and “Miss Lucas Oil Off-Road Expo” title. Movie Premieres In Dirt Theatre – A screening area dubbed “Dirt Theatre” will showcase some of the best independent off-road films from talented off-road filmmakers. Attendees will witness insane off-road racing action from trophy trucks, to rally cars, to bikes – everything on dirt. Founded by Martelli Brothers and produced by Mad Media, the 2012 General Tire Mint 400 (extended version) and Dezert People 9 are among the movies that will get your heart pumping. Movies will play throughout the weekend allowing attendees to sit, relax and enjoy the action. 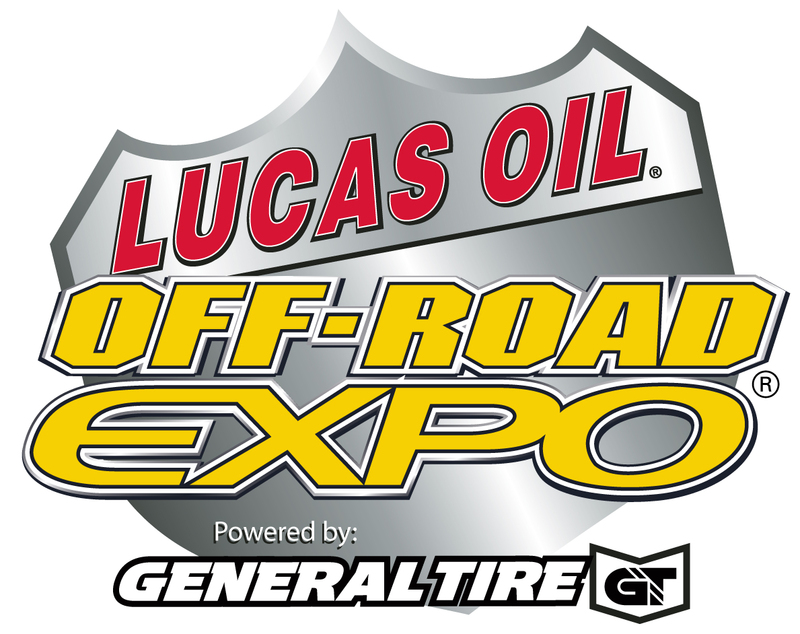 The Lucas Oil Off-Road Expo has named the Off-Road Business Association (ORBA) as the official charity for the 2012 event. ORBA is a nonprofit association of off-road related business owners united to preserve the sport of off-road recreation in an environmentally responsible manner. Patrons can buy Off Road Expo tickets at www.OffRoadExpo.com with promotion code ORBA and $1 from each ticket purchased will be donated to ORBA. The 2012 Lucas Oil Off-Road Expo powered by General Tire will take place Saturday, October 6, from 9 a.m. to 6 p.m. and Sunday, October 7, from 9 a.m. to 5 p.m. Held at the Pomona Fairplex, located at 1101 W. McKinley Avenue in Pomona, Calif. Advance discount tickets are available now at www.OffRoadExpo.com for $10 adults and $5 children (ages 6-12). Kids 5 and under are free. Tickets may also be purchased on-site for $14 adults, $5 children. A Family Four Pack is available for $20 and includes admission for two adults, and two children (available online only through Friday, October 5). For more information, visitwww.OffRoadExpo.com. Follow Off-Road Expo at www.facebook.com/OffRoadExpo and at www.twitter.com/OffRoadExpo.